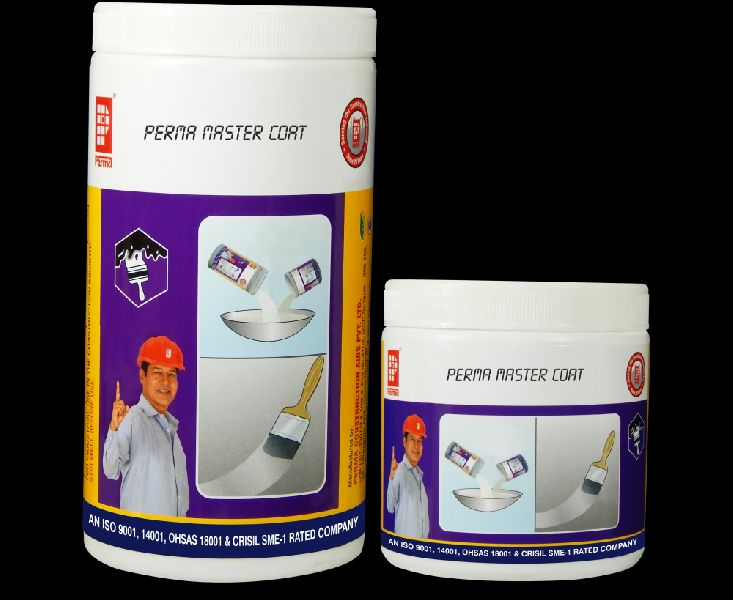 Perma Master Coat is an aesthetic and protective epoxy resin coating which has been specifically developed to meet the 'In service' protection of concrete, metal etc. The product is supplied as two-pack system comprising of pigmented base and hardener. It requires only on site mixing to produce an easily applied decorative and chemical resistant finish. Perma Master Coat coating will not support the growth of bacteria. For the external and internal protection of concrete or metal tanks containing drinking water, oils, consumable liquids.etc. Best used as floor and wall coating. It water proofs the surface son which it is coated, Used as an impervious, resilien and chemical resistant floor or wall coating in food processing plants, breweries, canning and bottling factories and general water proofing. Used as a protective and decorative coating in laboratories, abattoirs etc.